Did US drones swarm a Russian base? Probably not, but that capability isn’t far off. U.S. Defense Department officials are pushing back hard against Russian claims that they were involved in a drone attack on a Russian air base in Syria earlier this year. “Then they were destroyed,” Fomin said. American officials flatly denied the accusation. “Any suggestion that U.S. or coalition forces played a role in an attack on a Russian base is without any basis in fact and is utterly irresponsible,” a Pentagon spokesperson said in a statement to Military Times. Rob Lee, a former U.S. Marine Corps officer and doctoral candidate who focuses on Russian defense policy at King’s College London, said the allegations are dubious. While U.S. research toward drone swarms is definitely underway, the allegation that the U.S. attacked a Russian air base with the technology, risking an escalation with a peer adversary seems unlikely. 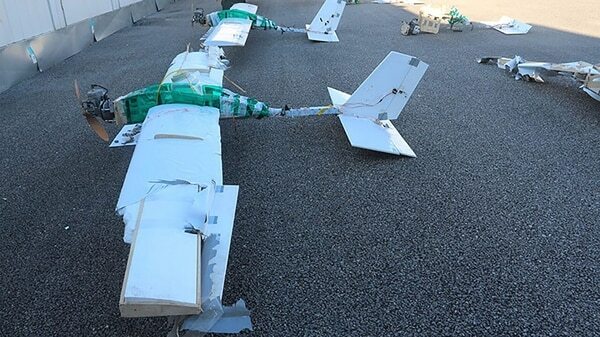 Russia has reported numerous rudimentary drone attacks by militants in Syria since the January incident. In September, Russia Defense Ministry spokesman Igor Konashenkov told Kommersant, a Moscow-based newspaper, that a Russian airstrike targeted “warehouses of terrorists with unmanned aerial vehicles." He added that 47 drones were destroyed around Khmeimim air base in the previous month. “Of course, they improved their defenses after the January attack, and began focusing on stopping UAVs,” Lee said. One reason the deputy defense minister gave for accusing the U.S. of controlling the drones was that the swarm supposedly switched to manual guidance after encountering Russia’s electronic countermeasures. This indicated that they were not controlled by militant forces, he said. “Only a technologically advanced country has access to such tools; they cannot be made in the Syrian desert,” the deputy defense minister said. 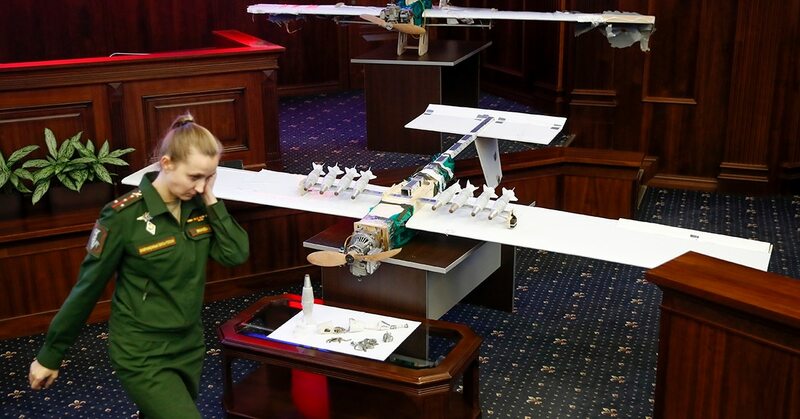 In January, Russian President Vladimir Putin said that while the drones looked primitive, they contained high-tech elements allowing precision satellite guidance and the release of munitions. Lee is unconvinced. If the allegations against the U.S. military were truthful, it would be counter-intuitive for Russia to publicize that their base defenses were penetrated by American drones and they took no retaliatory action in response. "After the firefight between pro-regime forces, including contractors from the Russian private military company Wagner, and U.S. forces in February, they were very quick to emphasize that the Russian government had no role in [the attack] to prevent any kind of escalation,” Lee said. Khmeimim air base was purpose-built for the Russian air force in 2015. The airstrip is capable of landing large transport planes, as well as bombers, fighters and helicopters. Putin announced this summer that an agreement was reached with Syrian President Bashar al-Assad to allow Russian forces to remain at Khmeimim for another 40 years. As to whether the U.S. is even capable of sophisticated drone swarm attacks at this point, that remains unclear. While the Navy’s P-8A Poseidon can communicate with drones, it has not been publicly shown to be able to command a fleet of them. Still, the Pentagon has long been interested in developing a drone swarm capability. The Defense Department’s research arm plans to demonstrate the ability to launch and recover swarms of drones from a C-130 transport aircraft sometime in 2019. Marine Corps units are also now using an electronic warfare countermeasure for enemy drone swarms. Additionally, the capability to command drones from a manned aircraft has been proven, although at less than half the number of drones allegedly used in the January attack and within a controlled testing environment. Earlier this month, Airbus announced that it managed to link five Airbus-built Do-DT25 target drones to the control of a mission commander inside a separate aircraft. 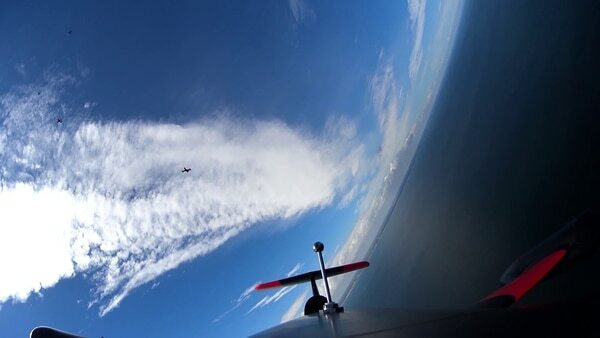 “Flown in a test zone of Germany’s Baltic Sea area, the [manned-unmanned teaming] trial flights served multiple purposes, including validating such elements as connectivity, human-machine interface and the concept of teaming intelligence through mission group management,” Airbus announced on its company blog Oct. 2.